Voluma and Radiesse are exceptional non-surgical injections that can provide volume similar to that of traditional surgical procedures. For those in and around the Los Angeles area, Dr. Ben Talei, a dual board certified facial plastic surgeon at the Beverly Hills Center for Plastic & Laser Surgery provide the best in Voluma and Radiesse injections as well as other non-surgical & non-invasive treatments. Voluma is a filler that has recently been approved by the Food and Drug Administration for use in non-surgical plastic surgery procedures. Its best use is for volume loss in the cheeks and cheekbone areas. Radiesse is also a widely used injectable filler that is generally used to reduce the signs of aging like wrinkles, frown lines and furrows. What’s more is that this unique filler can be injected into the lips as well as various scars and damaged areas to reduce the indentions that may have been caused. The great benefit of injectables and non-surgical facelift procedures is that they can give patients subtle, natural results without forcing them to commit to traditional surgical procedures and their long-lasting results. 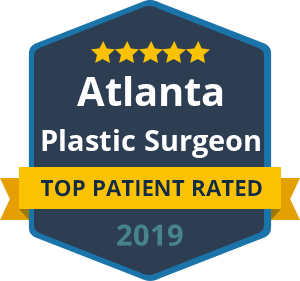 Dr. Talei is not only fully experienced and knowledgeable about non-surgical procedures, but he is also an expert in the field of traditional plastic surgery. With dual fellowship training in facial cosmetic and reconstructive surgery and vascular birthmarks and congenital anomalies with laser surgery, Dr. Talei has the winning combination for effective cosmetic treatments. If these options sound like a fit for your concerns, contact our Voluma and Radiesse injection specialists at Beverly Hills Center for Plastic & Laser Surgery to schedule your consultation with Dr. Talei. During the consultation process, he will be able to determine if in fact you could benefit from these injections or others on the market today.